Sadamasa Motonaga form and symbols Exhibition. 1971 "Concrete Art Association" after the picture book production The works of the era are not much noticed. Talk to the children in the front of the communication tool called picture book using simple words and clear primary colors, mimic words and onomatopoeia If this can be taken as a social experiment, one side of Mr. Motonaga that is completely different from concrete I can catch it. Let's put a spot on this 80's and watch it. Sound and Plane Obssession 1960. 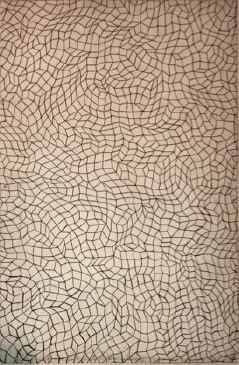 Steve Reich & Yayoi Kusama The Strass structualism. Claude Lévi-Strauss which has attracted attention since around 1960, has influenced many avant-garde ideas. Especially in the 60's, the most important of the present art, many isms are born. In particular, proliferation and repetition are big changes that can not be achieved by existing existence. Reich's 60's sound "EARLY WORKS" and "Kurama's Infinity" represent expressions such as "repetition and proliferation" that the late Steve Jobs had predicted the age of modern SNS before assembling the PC. Let's experiment on how you feel your consciousness in the same space on the net. 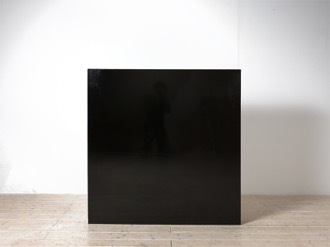 Noriyuki Haraguchi New Work Exhibition. Venue　Central Harbourfront Hong Kong. Reconsideration of metabolism. Kurokawa Kisho Woodcut Exhibition. 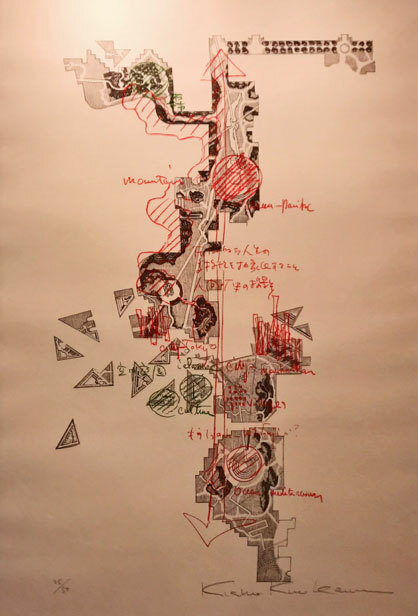 A half century ago, the idea of "metabolism of city" by architect Kisho Kurokawa has widely influenced the thoughts of artists. This time, it is rare in Japan that Mr. Kurokawa will exhibit woodcut prints produced using image sketch as a material in 1981, I would like to think dare to metabolism in a chaotic modern society. 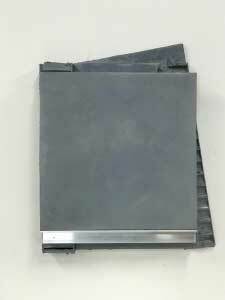 Following last year, we will introduce the series named Noriyuki Haraguchi's latest work "Gray composition". 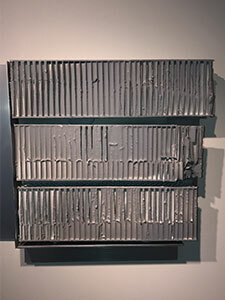 An ambiguous gray color with mixed industrial painting and paint painting starts to active on a honeycomb supporting structure. It is a powerful series that you can sense the development of new thinking during Mr. Haraguchi's making. Do not miss it. Nobuo Sekine New Work Exhibition. Nobuo Sekine is doing energetic production activities at Los Angeles, the base of its activities, and from the "phase painting" in 1987, he is challenging a new development called "Phase of Nothingness—Skin". Mr. Sekine will be attracted much attention in modern times as research and evaluation as minimalism of "Mono-ha" advancing in the United States advances, Mr. Sekine called "founder of mono-ha" will continue to attract attention. However, I do not believe that Mr. Sekine's expression will fit in this rationalism viewpoint. A star at the end of the distant universe looks like a distortion, wrinkle made by throwing a stone from the earth, it overlaps with a wrinkle that is made on the skin of a human being who is aged and old - fashioned ... as such an image is this title I guess. 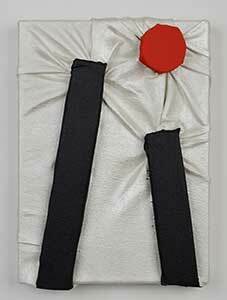 Mr. Sekine will be satisfied with it if the viewer can discover something that is not in consciousness of themselves. Noriyuki Haraguchi attracted international attention with his "Oil Pool" at “Documenta 6th” in Germany-1977. He is a little different from the "Mono-ha" which expresses a relation between the substances,and makes an appreciator feel the kind through the feeling of alienation by which a substance is it itself for his expression conscious, minimal and cool. He seems to have the attribution called "Post Mono-ha" in the point that a relation between a substance and society is put in the expression subject. We're thinking Mr. Haraguchi is the artist whose attention the above should attract from now on so far. This time, we'll introduce Mr. Haraguchi's work from the collection of “AF-LABO”. Inspiration between Noise and Punk Jamie Reid Exhibition. The United Kingdom was wasted from 1960’s to 1970’s, but the United Kingdom set a miraculous economic recovery by female “first” prime minister "woman of iron" Margaret H. Thatcher. The Noise music is the act which reforms the music of existence to noise, and Those are also a wasted British symbol. 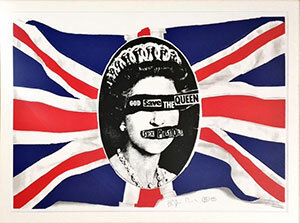 If these punk rock mean rebellion to a Right controlled society by Thatcher political power, it may be the point how to break a sense of values of existence that will be the hint which breaks through a blockade sense of modern society. We make the experiment which experiences an anarchic image by works of Mr. Jamie Reid who is a typical artist of “noisiness and puncture”. NEO-UKIYOE vol.1 Kiyoshi Awazu exhibition. Toshusai Sharaku and Utagawa Kuniyoshi in the Edo Period, Kouka Yamamura in the early Showa Period, and Kiyoshi Awazu's produced "REFLECTIONS ON JAPANESE PLAYING CARDS " series in 79 by the postwar of new publication picture movement are typical avant-garde ukiyoe. Charm of ukiyoe is the high expressiveness by the minimal production process with the simple line and the simple color. 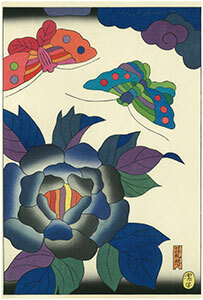 "REFLECTIONS ON JAPANESE PLAYING CARDS " series by Kiyoshi Awazu are typical works of NEO – UKIYOE. These are series works by Awazu metabolizing the “Hana-fuda” (JAPANESE PLAYING CARDS) designed by Rinpa of the Edo period, with Awazu's metabolism and avant-garde sense. Copyright Art Factory Corp. All Rights Reserved.